Joe Chemical — Ring a bell? 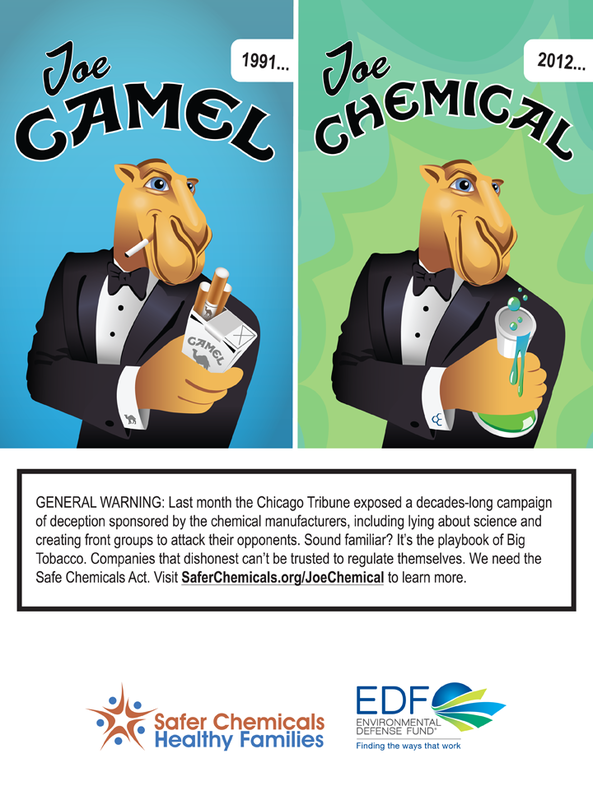 I’ve blogged earlier about the chemical industry’s campaign of deception exposed by the Chicago Tribune last month in a jaw-dropping series titled “Playing with Fire.” That in-depth series ran into the tens of thousands of words and included many extras such as video interviews. For more on this, check out www.saferchemicals.org/JoeChemical. 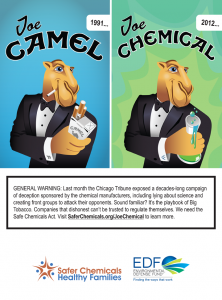 This entry was posted in Health Policy, Industry Influence, TSCA Reform and tagged Chicago Tribune, flame retardants, industry tactics, Safer Chemicals Healthy Families. Bookmark the permalink. Both comments and trackbacks are currently closed.